Now, KPJ is forming bolinger band squeeze. Current resistant RM3.84 & RM4.00 level. 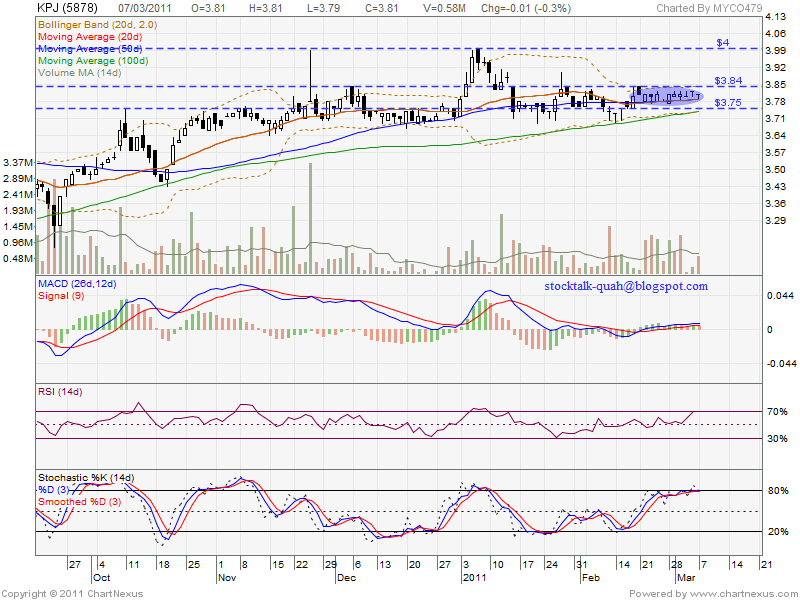 If able break up RM4.00 level, the uptrend will be continue. 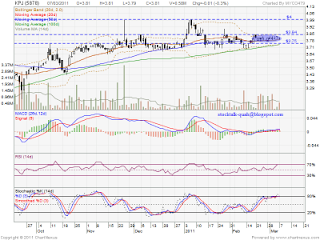 If retrace down, it might retest next support level, RM3.75 which also MA100 support level. Subsequent support level would be RM3.69 level. if indeed KPJ breached the 4 level.what will be perhpas the next resistant level?